Why this former Boy Scout wants to save trees by offering toilet paper for free. Even better, he hopes to make it happen in a fun and engaging way. According to a recent study, it’s estimated that over 15 billion trees are cut down each year. In fact, more than 41 million trees are destroyed every single day. Furthermore, 42 percent of the global wood harvest is dedicated to the production of paper products. In the United States alone, more than 68 million trees are killed annually to manufacture paper products. With this in mind, it’s no surprise the United States is the world’s largest consumer of paper products, with the average American using well over 1,000 pounds of paper and boxes annually. However, the genesis of the concept came from a movie screenplay designed to be a comedy about direct sales and the self-development industry. “I wrote a screenplay called ‘Get Rich Quick – The Movie,’” Kufus said. Kufus pitched several Hollywood studios and got positive feedback from top executives. When one of them quipped, “Somebody should build that someday,” referencing the movie’s toilet paper business model, Kufus had an epiphany. “I never looked at the viability of the concept. Dollar Shave Club was on its way up and had a couple million customers at the time, and I thought, ‘What if that’s viable?’ stated Kufus. From the onset, Kufus intended to not only create a profitable company but also wanted to grow it with a purpose, hence their tagline “Paper with a purpose!” He believes Better Planet Paper can help save millions of trees and even reverse the damage caused by deforestation if he can persuade consumers to merely switch brands. In the United States alone, the toilet paper industry is dominated by three corporate behemoths, Georgia-Pacific, Procter & Gamble and Kimberly Clark, with the latter generating about $2.14 billion worth of sales in 2016. These three manufacturers make up almost 80 percent of the U.S. toilet paper market, which means Better Planet Paper is just now sprouting in a forest of mature redwoods. Unlike his competition, Kufus is not going to plant trees only to cut them all down to create future paper products. Instead, Better Planet Paper will also plant trees that are evergreen to support the environment long term. 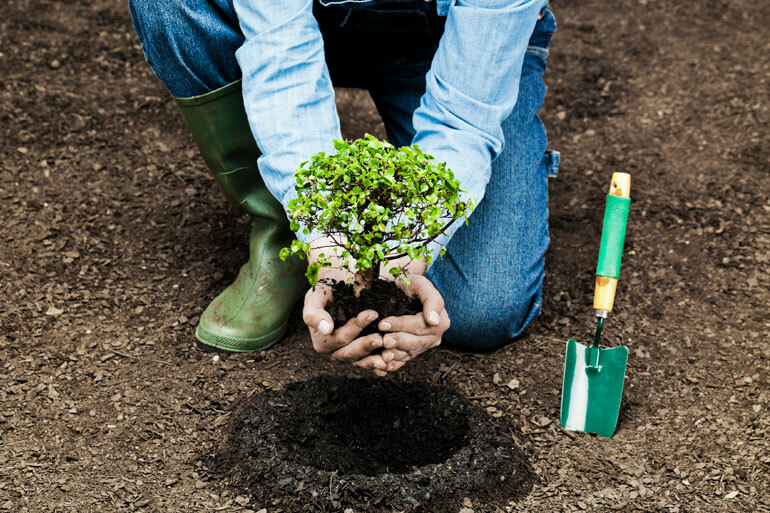 When a customer places an order, a new tree will be planted each time. Kufus also intends to become the single largest donor to the National Parks ecosystem. Kufus knows the US National Park system is underfunded and wants to help. According to the National Parks Conservation Association, national parks are struggling with underfunding, staff shortages and an $11 billion repair backlog, despite a 19 percent increase in visitors over the last five years. That’s why Kufus developed the Taller Tree Foundation. Each quarter, revenue generated from paper product sales will be donated to major tree planting organizations like the American Forest Foundation and 1% Percent for the Planet Kufus plans to encourage Better Planet Paper members to help them plant trees, as well. Better Planet Paper will also reward their customers with free national or state park passes after they refer 20 customers. Kufus believes if he can encourage people to visit the parks, it will not only create lasting memories for families but will hopefully support the parks with donations of their own. Another unique feature of the Better Planet Paper business model is their referral system. Rather than investing in traditional advertising or marketing channels, Better Planet Paper is incentivizing and rewarding their existing customers to give referrals. Discounts are offered for the first two referrals. If a customer refers three people, then they get their paper products for free. Depending on the total number of people a customer refers, they can also receive other financial rewards, including member dividends from a collective pool of the company’s revenue. Better Planet Paper is counting on their community to help them tell their story and spread the message. “What we’re doing is inviting people to create music, stories, poems, art, and photos. We want an army of creative people telling our story,” Kufus explained. Many companies have successfully implemented UGC campaigns to varying degree of success, providing fun, entertaining experiences for both prospective buyers and active customers alike. Better Planet Paper will be producing a mobile app in 2018 designed to help their customers to “Track Your Impact” and encourage environmental conservation. The app shows how many trees have been saved by company membership and even the total number of trees saved by their collective referrals. After starting to ship their paper products just a few months ago, Kufus is excited to have raised nearly $1 million of seed capital, helping launch Better Planet Paper under budget. However, due to a recent 250 percent increase in growth, Kufus is seeking an additional $300K to fund their expansion. In addition to traditional toilet paper, the company also offers Hemp, Bamboo and four-PLY toilet paper and paper towels. Currently, Better Planet Paper is focused on growth in the United States, but is also available in Canada already, with countries like the United Kingdom, Australia, and Germany on the horizon. Eric Christopher, also known as ERock, is an innovative marketing strategist and respected business consultant who's a featured columnist on https://Entrepreneur.com, www.Business.com, ThriveGlobal.com, HuffingtonPost.com, and Newswire.net. ERock is an accomplished author, writer, speaker, business coach and consultant. He's described by his peers and clients as innovative, vivid, and quick-witted. His philosophy is that ALL branding and marketing must be educational, engaging, and entertaining in order to succeed in today's competitive business world. He's consulted with a wide range of companies, including local business owners, national franchise chains, and world renown brands. His passion is to invent unique and creative branding and marketing strategies that generate exceptional ROI for clients. ERock is also an accomplished business coach, having mentored thousands of entrepreneurs around the world, teaching them how to run successful marketing agencies themselves. ERock is the founder and CEO of BizFamous.com, a consultancy designed to promote large brands and enterprises and LocalBusinessRockstar.com, a company dedicated to empower small businesses in their markets.